Nippondenso - I Say Ding Dong Shop - Buy Stickers, Decals & Unique Automobilia. Nippondenso Black & White Oblong Stickers. 9" Pair. 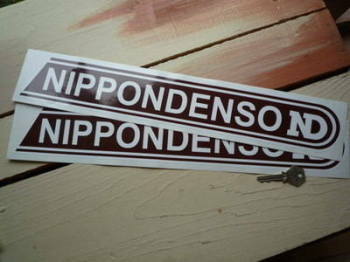 Nippondenso Brown & White Stickers. 17.5" Pair. 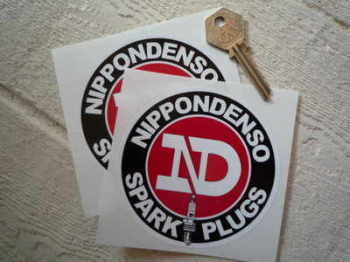 Nippondenso Spark Plugs Round Sticker. 10". 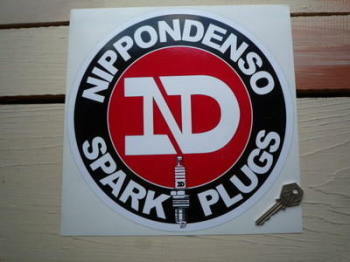 Nippondenso Spark Plugs Round Sticker. 6". 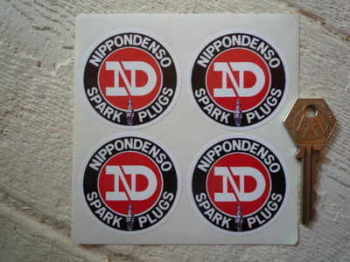 Nippondenso Spark Plugs Round Stickers. 4" Pair.